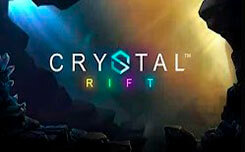 The microgaming company again announced a slot, which is based on one of the popular science fiction films. This time the choice fell on the famous film of the 80’s with Christopher Lambert “Highlander”. 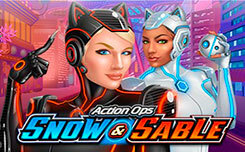 The launch of the new slot is scheduled for December 2017, but now we can say that the new slot has two amazing functions – 2 Scatter and the function of free spins. 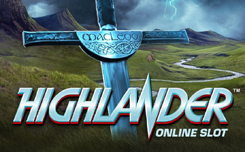 The design of the Highlander slot is completely based on the eponymous film. On the game screen, which is located on the background of the Scottish mountains, you can see the hero, his enemies, beautiful girls, as well as the standard game symbols A, K, Q, J and 10. 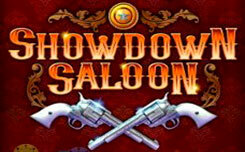 Wild symbol replacing any symbol of the new slot is made in the form of a game logo , located on a background of thunderclouds. 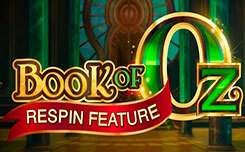 Of the available bonus features can be noted, free rotation and function 2 Scatter. 2 Scatter – activated when two Scatter symbols occur anywhere in the game screen, where the Scatter symbol automatically transforms into a wild symbol and completes the winning combination. 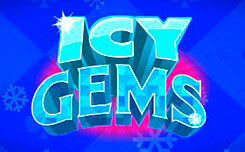 Free spins – activated when three Scatter symbols fall out, which are made in the form of an ancient amulet. Activating the function, you get 10 free spins with extra wild symbols that appear anywhere in the game screen in random order, the more wild symbols fall out, the more characters you will get the next time you drop.